What is the Best Price for Your IP Camera System? The other day I was walking down a street in Manhattan and I saw a guy selling watches. There was one watch that looked just like an expensive Rolex, but cost only $50. What a deal, I thought. I think everyone tries to find the best deal. Unfortunately, we sometimes forget that old maxim, “you get what you pay for”. I know I do. How many times have we gotten burned by this? I’m not sure how to tell if the watch is worth $50, but I can provide some guidance about what to consider when purchasing an IP camera. IP Cameras range in price from under $50 to well over $1000. What is the difference? As you may guess it’s the functionality and quality. The low cost cameras are usually sold to the home consumer market and are not designed for commercial security and surveillance applications. The more expensive camera last longer and allow you to see things clearer. So how does this relate to getting the best IP camera for your money? A more expensive camera has a better sensor and video processing circuit which provides much better light handling capability. The IP camera also has a faster internal computer so it can handle the best compression algorithms, and provides the video at higher frame rates. It includes a good quality lens which means you will be able to see the detail you expect. Some very low cost megapixel cameras come with such bad lenses that the 2 megapixel (1920 x 1080) camera video looks like a VGA (640 x 480) video resolution. Before purchasing any camera, think about your surveillance and security objectives. If your objective is to catch a person who is stealing from you, then you certainly want to be able to identify their face in the recorded video. If you want to make sure that the camera continues to capture critical video, then you need to pay for this added reliability. On the other hand if you just want to create a deterrent, then all you need is a cheap camera. 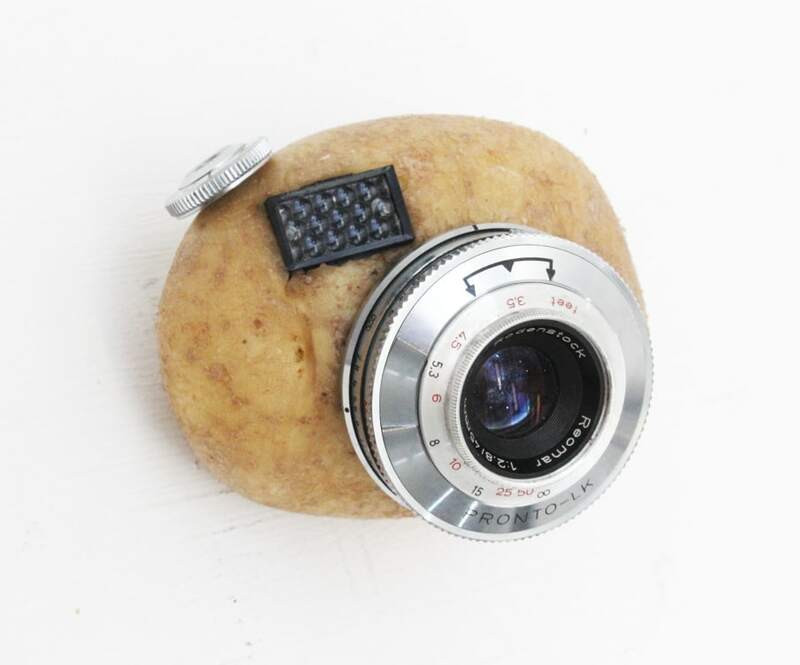 As a matter of fact you can get a camera carved out of a block of wood or even a potato. At least you can eat the potato if it doesn’t work. If you purchase the wrong camera it can cost more than you expect. Let’s assume that you want to catch people who are breaking into cars in your parking lot. Since it’s a large area you need a megapixel IP camera. You have a choice of purchasing a low cost IP camera for about $500 or a higher quality camera for $900. No matter which camera you select, you need to get someone to install it on the pole. Let’s estimate that this cost $800. The total initial cost of the system is $1300. Since you selected the cheap camera, there are two consequences to consider. The first issue is that the video may look acceptable when you are viewing the parking lot, but after the first incident you realize that the resolution is not good enough to recognize a person’s face. If this is true, you wasted money on a system that doesn’t meet your objective. The second issue is reliability. Even if the camera has a one year warranty, if the camera fails after 3 months the system becomes a lot more expensive. When it fails, you will have to call the installer back to go up the ladder and replace the camera. He charges you $600 to replace the camera. The total cost for your IP camera system is now $1900. The more expensive camera costs $900, and when you add the $800 installation the total is $1700. Based on this scenario, the higher priced camera was actually $200 less expensive and provided much better video that allowed you to catch the criminal. Since the less expensive camera is not as reliable, you may be looking at another failure in the near future. If this happens you have lost a lot more money in the deal. In general the best IP cameras are made by the well-known manufacturers such as Sony and Samsung. There are also excellent megapixel IP cameras available from IQinvision. Less expensive cameras are available from some Chinese manufacturers such Hikvision. Be careful that the camera you select is compatible with the video storage system. Some inexpensive cameras are not supported by the popular video management software (VMS), so should be avoided. You certainly can contact us for advice is selecting the total IP camera system. We will make sure that everything you get is compatible and does exactly what you expect. Compatibility with VMS and NVR systems, brings up the last thing to consider. The IP camera is really part of a complete IP surveillance system. It not only includes the cameras but also the lens, enclosures, network system, and video recording system or NVR. It is important to make sure that all parts of the IP camera system are compatible. If you purchase a camera before considering the rest of the system, it could be an expensive mistake. Using a camera from one of the major manufacturers will assure better compatibility. In summary, if you want a camera system that meets your expectations and is reliable you need to pay more for the camera, but in the end you will save money. By the way, does anyone want to buy a watch? Need help selecting the right IP camera for your surveillance system, just give us a call at 914-944-3425 or use our contact form.